Crystal Spark is for you! 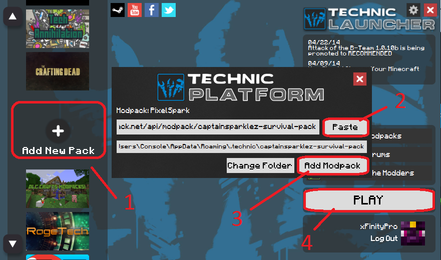 Here at Crystal-Spark our aim is to become the most helpful and caring Pixelspark server. Our main priority is the players who play Crystal-Spark. We try and create a server were players feel a part of a community and share their ideas and how to improve the server. We have very friendly and dedicated staff that offer as much help as possible. Crystal-Spark is always looking for suggestions and improvements, as we are quite new. We take feedback very seriously. On our server we have many awesome features that will always keep you entertained. One of the major ones is the playing time. You will progress ranks as you play on the server. You will unlock kits by playing. Certain commands are also unlocked as you play. We also have events! Treasure Hunts, Tournaments and Give-Aways! The Hexa Gaming team is incredibly dedicated to the server and this is because we feel that to host a server you MUST put a lot of work into it. So, enough reading and come find out for yourself. Come and play on Crystal Spark and enjoy the ride.